Following the devastating earthquake in Nepal in April 2015, the Disaster Relief placement allows our volunteers to help with valuable relief work in Kathmandu. Over 24 thousand classrooms have been destroyed or damaged by the earthquake and there is a real need to set up alternative learning spaces for children. While focusing on building temporary schools, you will work under the supervision of a civil engineer and a skilled mason. Although the mason cannot speak English, a local staff member will serve as a translator on the building site. 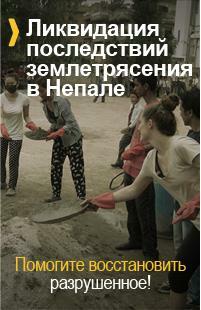 Volunteers should be physically fit and must be prepared to mix cement, paint and dig trenches. You also need to be at least 18 years old to participate. In Nepal, you and the other volunteers in your group will stay in a hotel. In the evenings, you can enjoy socialising with the other volunteers at cultural and leisure activities organised by our local staff. Over the weekend, volunteers will travel together on a trip to Chitwan National Park (a World Heritage Site and the first national park in Nepal).